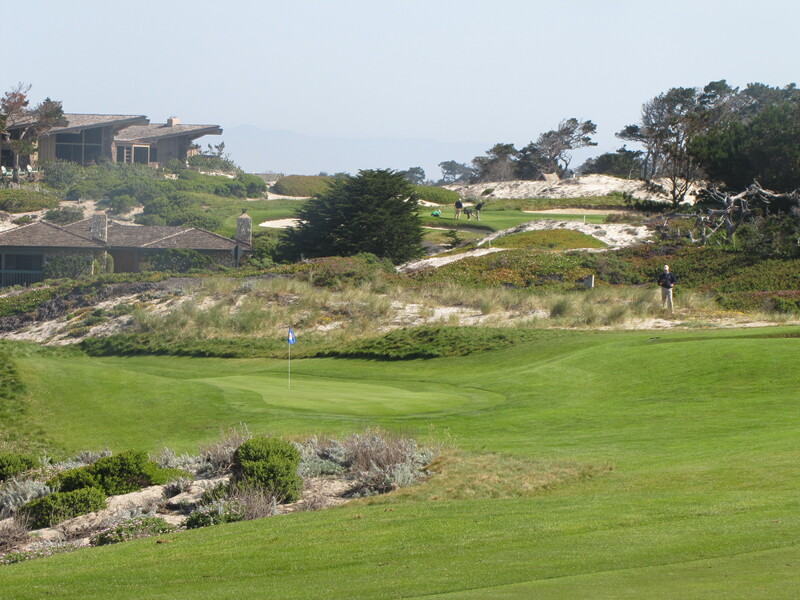 The 107th NCGA Amateur at Spyglass Hill is deep with talented players as the early scores indicate with an awesome 66 shot by Bobby Bucey of Oakhurst CC. Anthony Barrera and Matthew Hansen both had fine opening 68’s in the early shift of play today. There are three of us at 70, Scott Travers the 2010 California State Amateur and SCGA Champ, myself and Stephan Stallworth, along with three others at 71 for a total of 9 players under par in the morning shift. The second half of the field plays this afternoon and then again tomorrow morning while we wait to play the second round of medal play starting tomorrow afternoon. These scores are so low for 4 reasons – The players get better and more abundant every year, the course is in perfect shape, the green are receptive and soft, and the weather is quite nice with calm conditions. It will be interesting to see how the afternoon scores compare to the morning wave, but I expect there will be some great scoring. It’s possible that this years cut to 32 may be the lowest in History and could possibly be as low as 148. In 30+ years playing in this awesome event I’ve never seen the cut below 150 (that I can remember of course). Today was special for me as I wasn’t sure I’d be able to play after withdrawing on the 8th tee on Saturday during the Bay Regional at Tilden Golf Course. As I was standing on the 8th tee my back went into one of the worst spasm I’ve ever experienced. I was unable to tee the ball let alone swing at it. I spent the remainder of the weekend trying to rest my back so I could compete in my favorite event, the NCGA Amateur!! Today I took a little extra time letting my eyes, mind and soul soak in the sheer beauty of this sacred place. The views from holes 1-5 are perhaps some of the best golf vistas anywhere in the world. Those of us lucky enough to play this crown jewel should take a few extra moments to appreciate these incredible surroundings that change sometimes by the second. 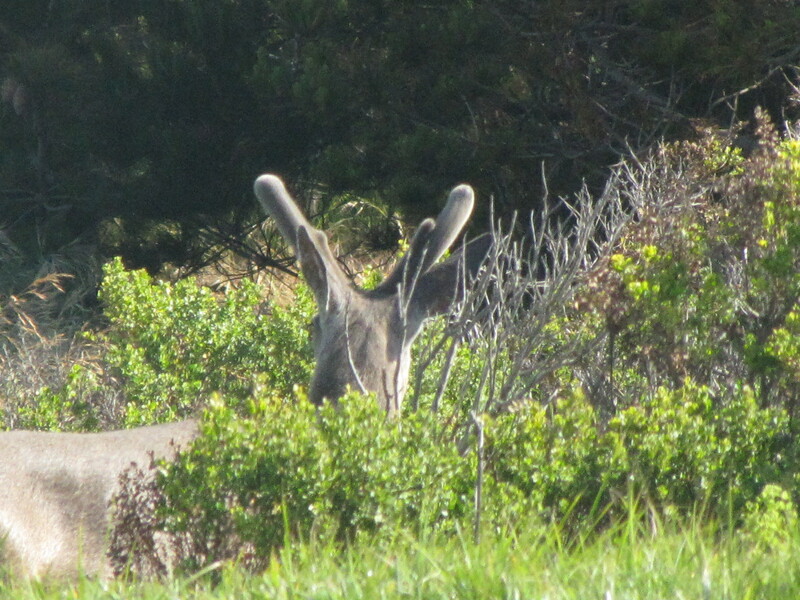 There are many reasons why Spyglass Hill is perhaps my favorite course in the world. 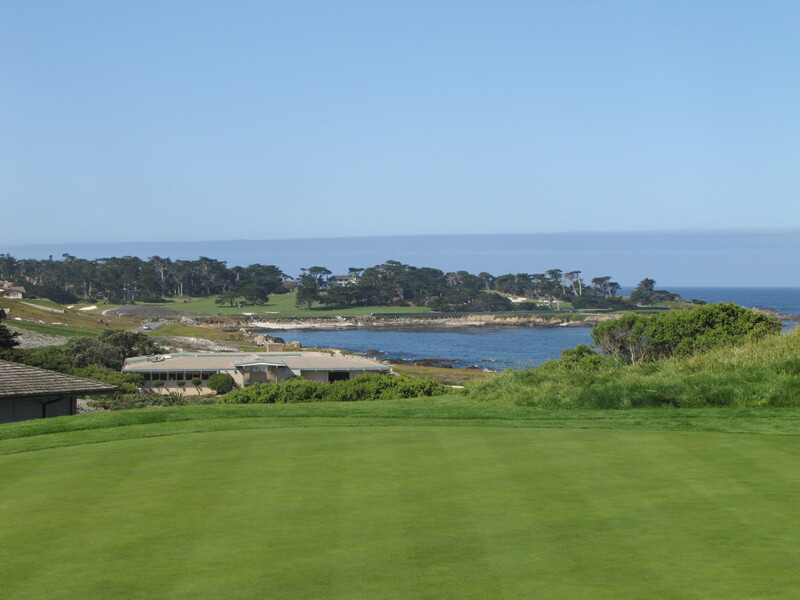 I personally think it’s the best course on the Peninsula and perhaps all of California. The contrast of holes from the first 5 to the next 4, to the back nine and finishing holes are what make this course so special. 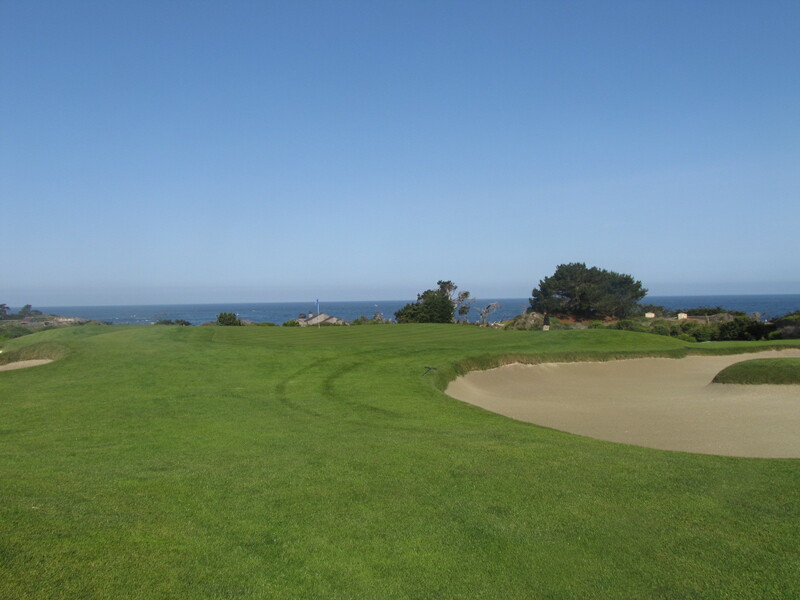 THERE IS NOT AN AVERAGE HOLE AT SPYGLASS!! Tomorrow at 1:00PM I get another opportunity to enjoy the afternoon scenery and sheer beauty of this majestic course that always challenges me mentally, physically and emotionally. The stroke play qualifying portion has one goal, to make it to the matches on Wednesday. 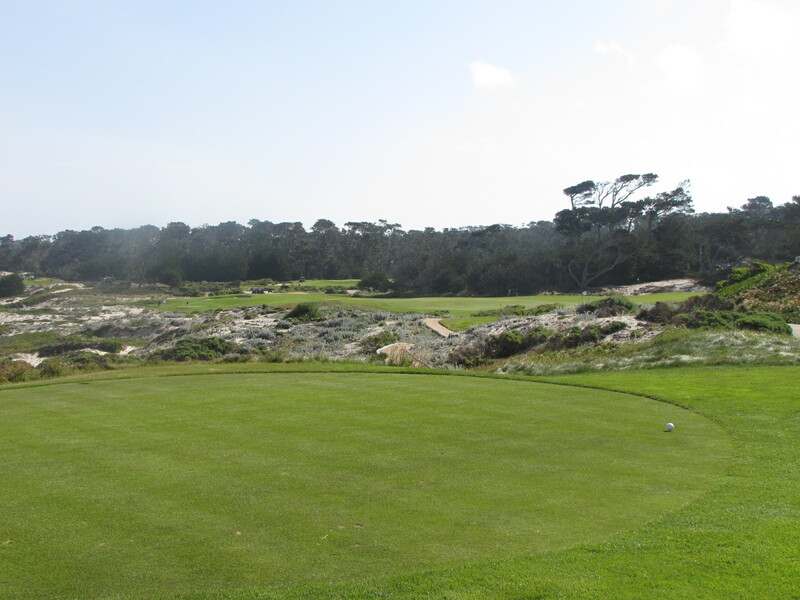 I can’t think of a better match play course than Spyglass, especially with all the risk reward options it provides. Sometimes watching an opponent make a mistake makes it difficult to execute yourself when you try to play a more conservative shot. The key to success in both stroke and match play at the Glass is knowing when to play conservative and when to play aggressive. What that really comes down to is how are you playing that day and what shots can you comfortably pull off. So many times I see guys try to cut the corner on the 16th hole, only to hit the tee shot into the right woods and make bogey or worse. Even after you opponent has hit it poorly on 16 it’s still a very challenging hole to make a 4.